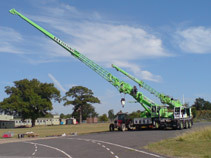 A contract lift should be considered if you have little or no experience with renting a crane, indeed many contractors will require relevant experience and certification along with method statements, risk assessments and lift plans when hiring a crane for use on site. 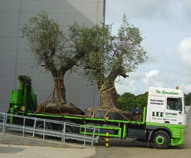 Under the terms of a standard CPA contract lift, the crane/equipment, operator and all personnel supplied with the crane, (including the appointed person/crane supervisor) are the responsibility of Lee Lifting Services Ltd.
Loss of or damage to plant/equipment caused solely by Lee Lifting Services' negligence in the performance of the lifting contract. 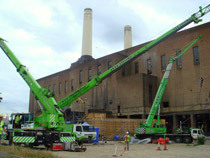 A maximum liability of £25000.00 in respect of goods lifted. A maximum liability of £5 million in respect of loss or damage to third party property or injury/death of third party persons. (These limits can be increased subject to an additional charge). Customer or their employees' own negligence. i.e. weight, inability of the load to withstand the lifting operation. 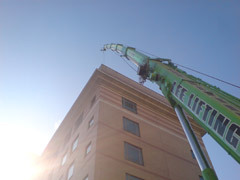 Lee Lifting Services are ideally located and have the experience to deal with all the necessary aspects of contract lifting in London. Normally a site visit is needed to assess the requirements of your contract lift operation, this visit will look at crane position, load and position of items to be lifted, any local authority permissions and traffic management requirements. From this site visit we are normally in a position to offer a firm quotation so that you can be confident when quoting your customer.